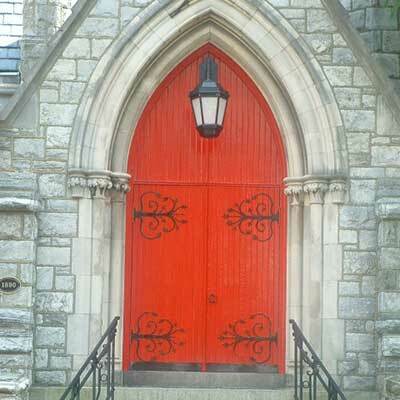 Built in 1890 and located in the heart of Wilmington, Trinity Church was designed in the English Gothic tradition by architect Theophilus P. Chandler, Jr. of Philadelphia. 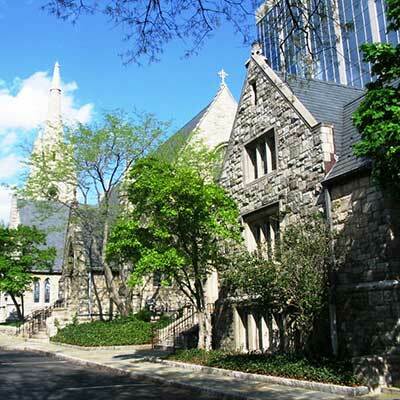 The exterior walls are constructed of rough-dressed Avondale stone as is the low ornamental wall surrounding the Church. 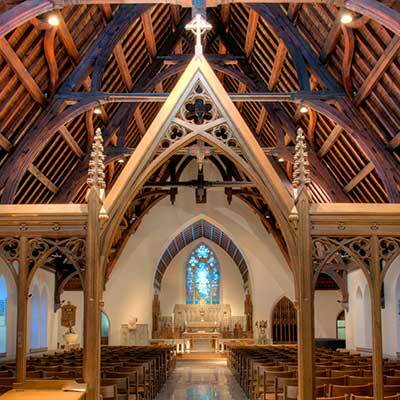 The interior view of the high, steeped roof displays an unusual architectural feature: the hammer beams, the short-cantilevered timbers, which support the wooden arches, are hand-carved angels. 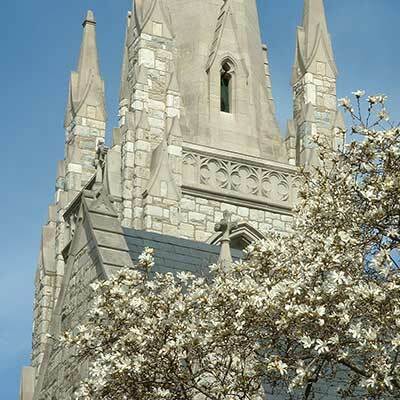 Completed in 1925, the tower and spire contain a memorial set of 12 bells cast of purest bell-metal bronze by the Meneely Bell Foundry of Watervliet, New York. Restored in 1974, the chimes can be played from the organ or a separate console, electrically connected with the bells in the tower. The Austin organ, opus #1619, was erected in 1928 and renovated in 1975 with more than 700 new pipes, a new console, an entire re-actioning, and numerous innovations. 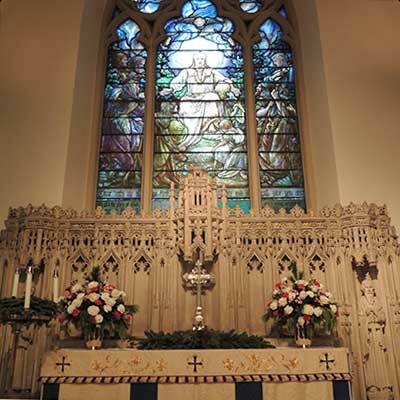 Altar window: “Come unto me, all ye that travail and are heavy laden, and I will refresh you” (Matt.11:28). South transcept: “Be not afraid; for behold, I bring you good news of great joy which will come to all the people” (Luk 2:8–14). North transcept: “Truly, I say to you, as you did it to one of the least of these my brethren, you did it to me” (Matt. 25:40). Left of north transcept: two small windows of Saint Anne and Saint Agnes. 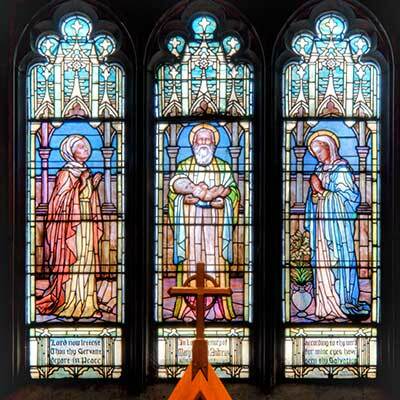 For more information, tours are available during parish office hours.